*Special factory Announcement: I just found out the NEO piano is discontinued for 2019 and being offered by the Samick factory warehouse at a super low "closeout price." If you like this piano after reading this review then don't let the higher normal retail price scare you off. Call me ASAP to find out more...before they are gone! The Samick NEO upright digital piano is somewhat unique among other digital upright style pianos because it combines a beautiful authentic polished ebony acoustic piano cabinet (with a full size built-in passive soundboard) made by the Samick factory along with a top-of-the-line "Fatar" Italian made quick response piano key action and new digital electronics designed in Germany. The control panel and buttons are nicely installed in the left side of the keyboard cheek block utilizing an easy to read LED display so the user knows what function they are using. Unlike some other digital piano brands that have an exposed control panel on the left side of the keyboard, Samick has installed their panel into the NEO in such a way that they were able to put a hinged lid cover over it so that all of the controls are completely hidden, and when you look at the piano and you see no buttons at all when the lid is closed. The Kawai piano company is the only other major piano company that has this feature in their top of the line CS10 digital piano which is a fabulous piano and much upgraded over the Samick NEO, but that model retails at $8195 so it's obviously not near the same price range as the Samick. Even the on-off power switch on the NEO is under the piano so that the piano is clear of any indication that it is digital...which many people will appreciate. The cabinet looks completely acoustic and authentic and many digital piano shoppers whom I talk with have been asking for a product like this in a reasonable price range (under $5000) for many years and the NEO may be the perfect solution in its price range. The bench that comes with this piano (pictured upper left) is an upgraded height-adjustable matching bench in polished ebony finish so it looks equally attractive with the piano. After playing this new model many times already, I found it to be simple to use and has enough digital features to make it enjoyable to play in a variety of ways but keeps its focus on the piano sound, piano style key action, and pedaling functions. This model is really for people who mainly want to play piano along with having a few instrument sounds (10 total) including a stereo acoustic grand piano sound with very good dynamic range of tone and volume along with impressive sounding string symphony tones, electric pianos, organs, choirs, and harpsichords. I noticed that when I layered a piano and organ sound together at the same time, those 2 sounds were out-of-tune with each other. However, the organ sound is electronically and permanently tuned a bit lower and is made to be played independently of the piano sound. I have not seen this kind of thing in other digital pianos before so that means you cannot mix those 2 particular instrument sounds together in this NEO model, but for the majority of people I don't think this matters. Other features & functions of the NEO include 2-track MIDI recording and playback, adjustable metronome function, transpose, master volume slider, brightness control, splitting and layering any two sounds together or apart, 24 bit sound resolution higher quality reverb-echo effects to simulate concert halls, and a fairly large 135-note polyphony processing power so that you won't run out of notes when playing more complex piano music. In other words, this piano is not for someone who wants extensive instrument sound libraries, drum rhythms, interactive chords, extensive multitrack recording features, flash drive inputs, or micro editing features. It is designed to primarily be a piano without the need of ever tuning it and yet being able to practice in privacy using stereo headphones or just turning down the volume output with a volume control...all things a regular acoustic piano cannot do. The specific Fatar piano key action that is built into the NEO is very important because a piano key action is the most critical feature that should be considered when shopping for any digital piano. The Fatar action company of Italy produces a number of different key actions for a variety of brands and I have reviewed some of those other brands with different Fatar key actions. It's important to know that just because the key action is made by Fatar does not mean it's a realistic feeling and moving key action because there are different quality levels of Fatar key actions and other brands of key actions. The Fatar key action built into the Samick NEO is one of the top Fatar (all plastic) key actions made and is called a "Four Zone Graded Hammer Action." The action is smooth and balanced and very quiet (not a lot of key movement noise) as compared to many other digital piano brands I have played on with all-plastic actions. Samick uses this same key action on their digital grand pianos and I have played those models many times and like them very much. They are quiet and responsive although there definitely are more realistic feeling key actions in some other top digital hybrid piano brands with full size polished ebony cabinets, but those models generally sell for more money ...so you do usually get what you pay for. Some of those other brands have upgraded complete wooden acoustic piano key actions or at the very least the inside of the keys themselves are all wood. Having all-wood keys can be a good thing and feel even more realistic in movement, but for many people this is not necessary. However in this price range and for what this piano is and does, I think most people will enjoy playing on this Fatar key action quite a bit. It is important to note that this Fatar Italian key action does not have the synthetic ivory/ebony feel keys that are becoming common on other digital piano brands nor do the keys have the "escapement" key mechanism that other digital pianos and grand pianos sometimes have. However, this should not be a deterrent to your enjoyment playing this piano considering the fact that most real top name upright acoustic pianos do not have ivory/ebony keys or noticeable "escapement" movement. The acoustic stereo piano sound in this new model itself is quite good considering it is produced digitally and the panel functions give the player control over its tonal qualities by being able to adjust for more or less tonal brightness or mellowness. 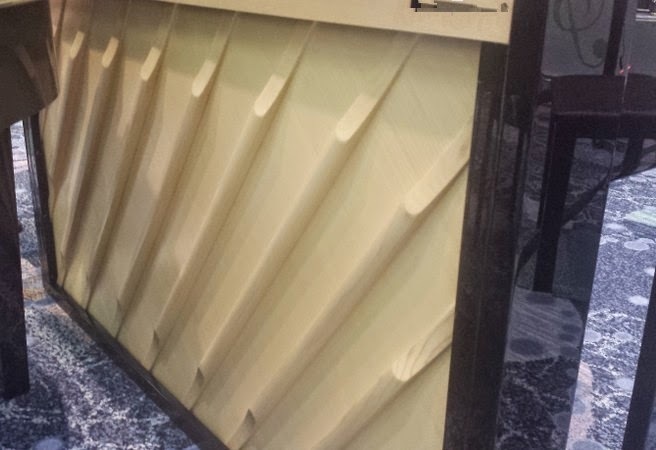 The full size simulated passive soundboard in back of the piano helps make the piano tone more natural through passive resonation of sound frequencies. Although the piano sound is actually coming out of the internal speaker system, the piano sound frequencies also can resonate through the soundboard adding a touch of organic realism to the piano sound which no other digital piano has in this price range. The piano back is finished with a matching color vinyl covering to protect it. With regard to these "soundboards" on the back of the pianos, all acoustic pianos have soundboards whether they are upright or grand pianos, and without them there would be no sound amplified from the vibrating strings. The best way to amplify the piano sound in a digital piano beyond using speakers is to use "transducers" on an actual all-wood soundboard which is a type of microphone that projects the energy/vibrations of a soundboard and amplifies them to give a bigger, bolder sound. This is a more expensive process which makes the pianos cost more money, but the sound realism results are better too (you usually get what you pay for). Kawai does that (using transducers) with their top of the line digital piano soundboards whereas Samick has a passive simulated soundboard with no extra help from transducers. However, the Samick NEO gives off plenty of sound vibration power and quality in my opinion through its speakers...and at about half the price of the Kawai upright digital piano, the NEO piano sound results are still very nice. Key touch sensitivity (aka: velocity curve) can also be adjusted in the editing features to help people customize the response of the keys to volume when pressing the keys harder or softer depending on the muscle strength in your fingers. The dynamic range of tone (loud to soft, mellow to bright) in this piano is also quite good and expressive so that you can grow into the piano instead of out of it. 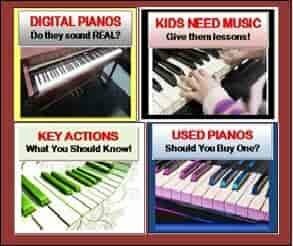 There are brands of digital pianos in this price range such as Roland, Kawai, and Yamaha, and I have played them all, and they have impressive digital piano sound and key action as well. 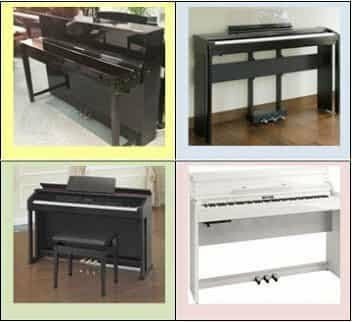 However, those brands do not offer a real full size acoustic piano cabinet with full size spruce piano soundboard in this price range and that is what sets the NEO apart from the other other brands. The acoustic piano sound in the NEO is good enough (realistic) more most people, but if you want even better digital piano sound recreation in a digital piano then there are other choices in higher price ranges, but piano sound is somewhat subjective and the Samick NEO stereo piano sound is overall enjoyable to play and will satisfy most people. The NEO offers a good array of connectivity to other devices such as computers, external speaker systems, MIDI products, and headphones using MIDI in/out connectors and USB to host connectivity. You can also use the NEO to connect an external CD player, MP3 player, or other audio device to the NEO and use the internal sound system audio input of the NEO to hear the external music players, computers, or tablets (iPad, etc). An optional BLUETOOTH WIRELESS AUDIO adapter is included FREE while supplies last so that you can play your favorite iTunes or Google songs directly through the NEO internal stereo audio system and it sound great! The NEO also has an audio outputs to run the piano through an external sound system to make the sound even bigger and fuller than it already is if you should ever want that. The internal sound system of the NEO consists of 4 power amplifiers totaling 80 watts of power going through 4 separate internal speakers, so the sound is pretty big and full for most homes or buildings. The NEO measures 41" tall x 19" deep x 56" wide so it is compact enough to fit into small spaces but still looks beautiful and natural in its design. The cabinet design, high polished ebony finish, and unique chrome hardware, trim, and pedals give it an elegant contemporary look that I really like (few other digital pianos I have seen offer chrome hardware) and the key cover is a special "soft-close" cover that will come down slowly and cover the keys while keeping fingers from being squashed... a great feature especially for younger kids. 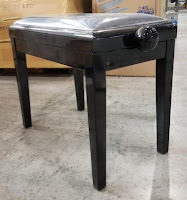 Even the top lid of the piano can be opened and propped up using a built-in mini grand piano lid prop so that the sound can come out of the top as well as through the bottom speakers and soundboard which allows the piano sound to have more depth. The new Samick NEO has many of the important features people are looking for at a reasonable price and that is what makes this piano a compelling choice in its price range in my opinion. An elegant cushioned, height adjustable matching bench also comes with this new model. The next nearest digital pianos in price which offer an elegant looking upright style polished ebony piano cabinet with impressive piano sound and key action would be the Yamaha CLP645, Yamaha NU1X, Roland LX7 and LX17, Kurzweil CUP2, and Kawai CS11, but they all sell for a lot more money. 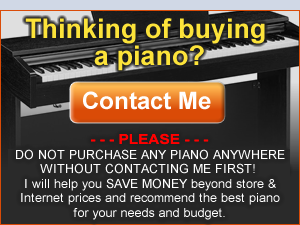 Many (not all) of the other top brands do offer even more authentic piano playing realism along with more features & functions, but as I said earlier, those pianos will cost you quite a bit more money. 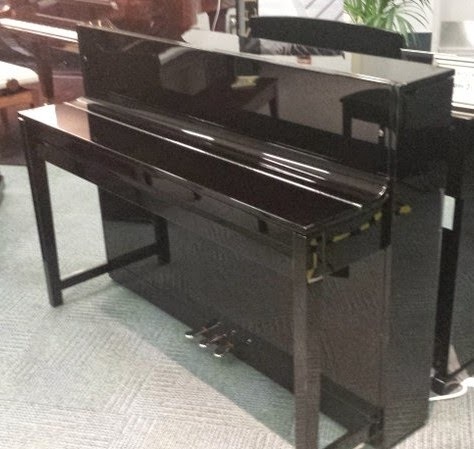 If you are looking for a very good new digital piano that actually looks like a beautiful upright style piano in a high gloss polished ebony finish with some cool and usable features in a lower price range, then the Samick NEO may be perfect for you and I personally enjoy playing it myself. The NEO has a 1 year complete parts & labor factory warranty and the piano should give a person many years of playing enjoyment. I have been told that the NEO hybrid digital piano is available now to shoppers in the US but only in a limited amount of Samick pianos stores in the US, so they may be difficult to find right away. This new model compares very favorably to the more well known and more expensive brands of digital pianos such as Yamaha, Roland, Kawai, and Casio and should definitely be a serious consideration before purchasing any brand. If you want more info about this new model then let please contact me and I can give you some "inside info" and advice that will help you. 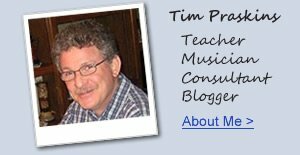 I believe that it is always important to do your homework and research when shopping for a new digital piano, especially in this price range because you want to be sure you are getting an instrument that will meet your playing goals and musical needs and last for many years. *Below are a couple of videos I found on-line showing some of the features of the NEO. Although the piano has a great stereo sound, these videos unfortunately are recorded in mono sound. 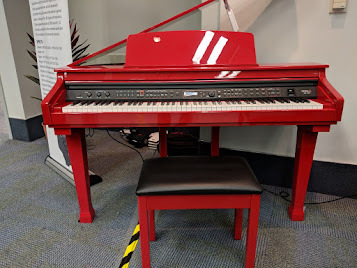 However, they still will give you a good idea of what to expect out of these pianos including being able to use a Bluetooth feature to stream music from any external device like cell phone, iPad, etc.